Our custom doors are made of best quality ecological materials in our shop. We use only healthy lacquers, paint and glue that are needed in the process. 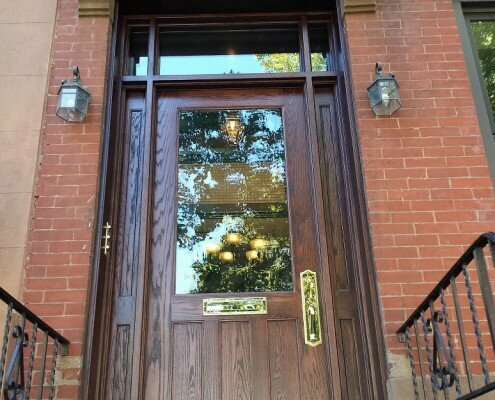 Furthermore we can prepare and install any Door in any Style: Wood Doors, Mirror or Glass Doors, Closet Doors, Sliding Doors, Bifold Doors, Pocket Doors, French Doors, Louvered Doors, Interior Doors, Steel, Metal or Fire Doors, Commercial Doors, Double Doors, Wooden Doors, Odd Sized Doors, Tall Doors, Custom Doors in New York City, NY – NYC and Brooklyn. We will help you to get the custom doors that you want when you’re upgrading, remodeling, replacing or doing new construction. Hardwood, Poplar, Rustic, Hard Wood, Alder, Mahogany, Maple, Mdf, Oak, Pine, Teak, and Walnut along with many other types of Woods. French, Lumber, Veneer, Arched, Café, Carved, Curved, Circle, Half Circle, Arts and Crafts, Church, Crossbuck, Decorative, Dutch, Hollow core, Solid core, Lumber core, Fire Resistant rated, Laminate, Louver door, Shutter Door, Louvered, Masonite Door, Closet Doors, Raised Panel, Recess Panel, Flat Panel Door, Plank or Shopfront. 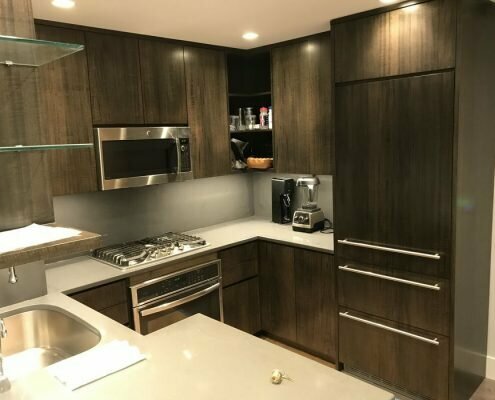 It is a quality work done by Skilled, Reliable, Professionals with over 30 years of Construction and Cabinetry Experience working in NYC Co-op and Condos delivering the results that you’re looking for in Doors, Closets, Cabinetry, Carpentry, Kitchen or Remodeling projects. Large or small, any type of door project can be difficult, frustrating and stressful. Before you actually do your Door project you will want the answer to various questions. What are my Door choices? Where can I get somebody good to install my Doors? 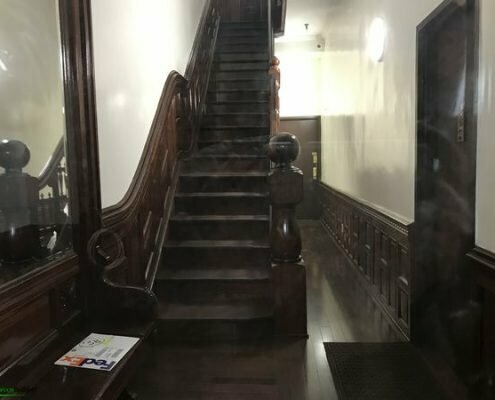 How much will my Doors cost? What does Door installation cost? We know that finding a reliable organization to do this work for you, can be equally troublesome. Our goal is to offer our clients answers to these questions. We provide doors the way our clients want it done: in a timely manner, preserving their budget and done by professionals – not handymen. Providing Doors this way, we save you aggravation, disappointment, time and money. The Quality is a standard feature. 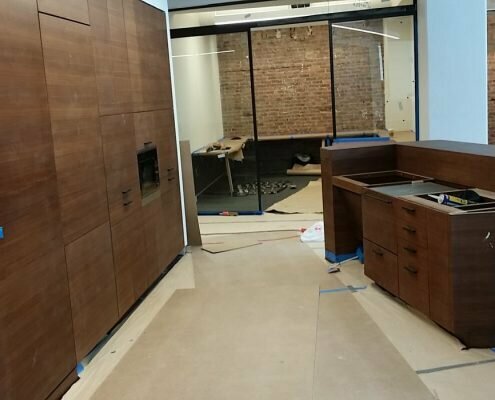 We have over 25 years of experience in New York City construction and cabinetry. As a result we are professionals and experts. We have the knowledge, experience and ability to make your door’s project ideas come to life with professional results at fair prices, in a timely manner, budget and effort. First, over the phone, we talk about your door project, work up a preliminary budget and discuss it with you. Next, for qualifying customers, we visit your space, take accurate measurements, and formulate, layout, design and plan your Door project, large or small. We go over with you the fine details that make your Door project stand out. Or we work from your plans if you have them. Then we come up with a fair price for your Door project. One that is based on your specific needs, wants and the services that you request based on the questions that we ask. Build your DOOR project by providing the information: Contact page or call (929) 295-8471; (646) 204-4354. Evening and Weekend appointments can be arranged as well.